There is a reason for our latest foray into the canine universe. Facebook Watch is about to launch its hunt for the World’s Most Amazing Dog – sourced from thousands of submissions from across the globe. And we were asked to come up with a quick turnaround launch stunt to help them in this quest. Hence, the National Paw-trait Gallery. 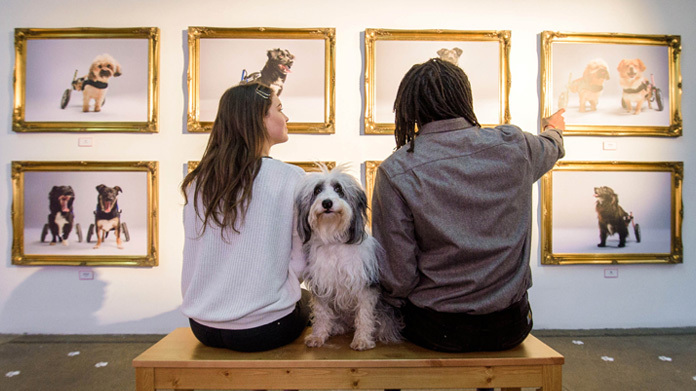 An art gallery designed specifically for man’s (or woman’s) best friend. Showcasing amazing dogs from history across a range of zones – from heroic hounds to cunning canines – the space was hung to be perfect for those on four legs rather than two. Inevitably, the coverage has been awesome. There was an absolute cracker in Time Out (a full page no less), the Evening Standard, the Daily Mail, Independent, Daily Telegraph and Daily Star, alongside full pages across a host of regionals. The gallery was also covered by ITN News, across MSN, Yahoo! and Aol, as well as BBC News Online and MTV. Oh, and there were around 150 pieces across the regional news to boot. Another barking idea flawlessly (should that be paw-lessly? No, probably not) delivered.